The Crimean War. Assault on the Redan. 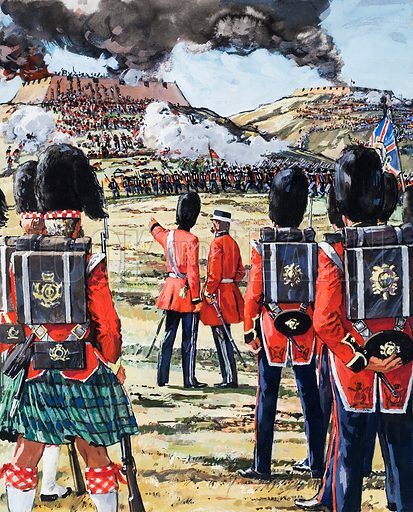 The Guards and Highlanders were kept standing by, while their comrades fell in their hundreds brfore the Russian guns. Original artwork for the illustration on p 5 of L&L issue no. 493 (26 June 1971).